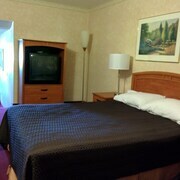 New hotel with immaculate cleanliness and very nice staff. Where to find Guelph hotels near an airport? Where can I find hotels in Guelph that are near tourist attractions? 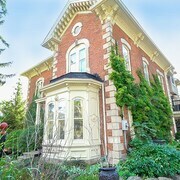 Travelers in Southern Ontario who are looking for somewhere to stay in and around Guelph have a range of choices. Expedia currently features 14 places to stay within 0.1 kilometres (0.1 miles) of Guelph's town center. Convenience is so important when it comes to trouble-free vacationing, so check out the latest offers at the Royal Inn and Suites and Norfolk Guest House, which can be found within a 1-kilometre (0.6-mile) radius of Guelph's downtown area. 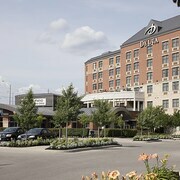 The Delta Hotels by Marriott Guelph Conference Centre and Holiday Inn Guelph Hotel and Conference Centre are near the University of Guelph. If you would rather base yourself close to the Guelph Civic Museum, you could book a bed at the Parkview Motel and Western Hotel & Executive Suites. You could investigate the Homewood Suites by Hilton Cambridge Waterloo Ontario and also the Hampton Inn & Suites by Hilton Kitchener. 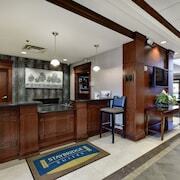 The Homewood Suites by Hilton Cambridge Waterloo Ontario is 14 kilometres (9 miles) from the main part of Guelph. The Hampton Inn & Suites by Hilton Kitchener is situated 19 kilometres (12 miles) away. Another option is to check out the amenities and rates at the Hampton Inn & Suites by Hilton - Guelph or the Holiday Inn Kitchener-Waterloo Conference Center. The larger Southern Ontario region is definitely worth seeing as well. Southern Ontario is known for beaches, and commonly visited Southern Ontario tourist sights include traditional villages, churches and art museums. In this part of Canada, travelers can try their hand at skiing. Elora is 20 kilometres (12 miles) to the northwest of Guelph, and is where you'll find the Zipline Extreme and Elora SkyRider Zipline. 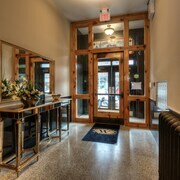 Should you wish to spend a night or two in Elora, check Expedia's booking pages for the latest deals at The Village Inn and Best Western Plus Fergus Hotel. Or, you could stay in Kitchener, 20 kilometres (12 miles) to the southwest of Guelph, where you can pick from the Waterloo Inn Conference Hotel and Comfort Inn Waterloo. If you stay in Kitchener, don't miss Centre In The Square and theMuseum. Expedia's destination page is also a great way to learn more about Guelph. What are the most popular Guelph hotels? 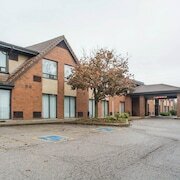 Are there hotels in other cities near Guelph? What other types of accommodations are available in Guelph? Explore Guelph with Expedia.ca’s Travel Guides to find the best flights, cars, holiday packages and more!